Kevin Smith is a luthier and his handcrafted Violins & Violas are crafted with an understanding of the instrument, its voice, and the musician. His unique blend of skill and experience create an instrument that feels like a seamless extension of the player, allowing a passionate musician to experience a dynamic range of sound intuitively. 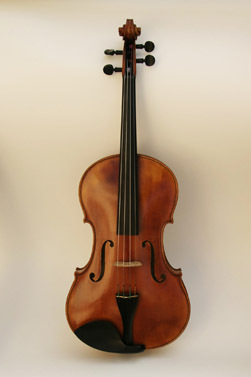 In 2008 Kevin completed two 16 1/8” Tertis model violas. Each instrument was tailored to fit the demanding requirements of accomplished musicians. He has recently completed a Del Gesu model violin. To try this instrument or one of his recent violas please let us know. Kevin brings a lifetime of experience to The Violin Shop. He received his Luthier degree from The Violin Making School of America in Salt Lake City, Utah in 1976. He went on to continue his violin, viola and cello education at William Moennig & Son in Philadelphia where he trained with Robert Cauer for over 2 years. From there he went on to train under Roland Feller in San Francisco for an additional 2 years. Kevin has been in the business of building custom made violins and violas as well as restoring and repairing instruments and bows since 1972. Today we’d like to introduce you to Kevin Smith. Kevin, please share your story with us. How did you get to where you are today? In 1972 I became the first student of The Violin Making School of America. It was the first school of it’s kind in the United States and was modeled after the School in Mittenwald, Germany. After graduating in 1976 I worked at a couple of high-end shops for 5 years learning restoration skills. In 1981 I struck out on my own and moved to San Diego, working from home for about 4 years. In 85 I moved to Dallas, TX and opened a shop for two and a half years. But alas, I still had wanderlust and moved to Venezuela to make instruments for a couple of years in the fall of 89, we moved back to San Diego. And I’m still here. I met Paula Simmons through some work she needed to have done on her viola. Paula and I started talking about the difficulties students had learning on rental instruments that were more limiting than helpful. The more we talked the more the vacancy became apparent. So we decided to do something about it and opened our shop. We not only approached the limitations of the student instruments but also the financial limitations of families trying to raise their kids in music. Through a little creative thought, we put together a program of rental credits combined with free upsizing on rental instruments purchased from us, and our customers could have quality instruments throughout their children’s years of growth for the cost of just one instrument. It’s been very gratifying to contribute to the education of so many students in such a viable way. Between Paula’s organizational skills and my bench skills, it feels like a natural fit. It’s now the end of 2017 and the shop just keeps growing. I’m so grateful for the opportunity of working with so many kids, dedicated parents, adult students, and professionals. I feel truly blessed. Running a business is never an easy thing. The learning curves are steep and continual. We’ve had so much help along the way from friends, colleagues, family… every problem seemed to have so much potential for growth, and the right person seemed to always be there. One particular struggle stands out. A few years back I had a couple of guys trained to help out in the shop. In what felt devastating at the time they both moved on to other careers within a couple of months of each other. Shortly after, our main competitor just closed their doors and left town. The overflow of work was overwhelming. Ironically it’s the only year we’ve had negative growth since we opened our doors. Our existing customers weren’t getting our usual attention. The disenfranchised customers from our competitor were venting there anger our way. On top of which they were demanding attention and services promised by someone else. It was difficult and led to long hours. But the following year things started falling back into place. With just the two us trying to handle it all we were blessed when Sharon Taylor came in for cello repairs, saw our circumstances, and asked if we needed help. We hired her instantly and have never looked back. She has since become my cello teacher (when she’s not answering the phone and managing our repair and set up schedules). About a year later, after trying out a couple more repair guys in the shop, we found a perfect match: Chase Gregory. And have since added a wonderful bow maker, Carlos Romero, and a great all-around assistant in Sarah Sutton. The upshot is we’ve benefited greatly from a more organized business which has evolved from necessity. So, as you know, we’re impressed with The Violin Shop – tell our readers more, for example what you’re most proud of as a company and what sets you apart from others. For starters, We’re dedicated to putting quality rental instruments into as many kids hands as possible. Instruments that inspire kids to play rather than limiting their efforts. Our goal is to be a positive influence in our community. To be a source of positive direction, bringing musical education back to it’s prominent, significant role. The developmental advantages for those who grow up playing are well researched and documented. We hope to be a point of enthusiasm toward that goal… for parents and kids alike. The growing trend of learning to play music in San Diego is exploding, and we’re proud to be a vital component in this movement. We’re involved in doing the same with adult amateur string players as well. The over “50” crowd is so thirsty to remain engaged and significant: socially, intellectually, physically. 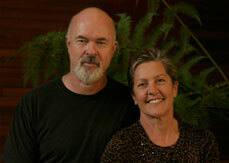 The people we see seizing the opportunity to continue living with vitality is heartening. All with unique histories, experience, and talents. This is a highly overlooked group of people with so much to offer that all to often are simply left to fad with their knowledge. I guess what sets us apart from others, aside from the level of work we do in the shop, is that we care about everyone who walks through our doors. You mean aside from the climate? I love that the people here love to love life. We don’t all agree on everything, and there are some strong differences. But seeing it through the prism of playing music, it acts as a unifying factor instead. And it’s beautiful. What I like least about the city is the animosity of identity politics. It just hurts. But playing music with my friends feels like a healing balm.